The wines of Stehleon Vineyards are grown and produced entirely within San Diego County. The fruit comes from small, custom vineyards that are pruned and harvested by hand. Owners Al and Lisa Stehly began their foray into the local wine industry nearly ten years ago when Al was approached about installing a wine grape vineyard. Having founded Stehly Grove Management in 1990, the Stehlys had 20 years experience managing citrus and avocado groves so wine grapes were a novel commodity to them. However, as a 3rd generation California farmer Al knew all too well the importance of changing with the times. Al took on the challenge of that vineyard installation. He attended classes at UC Davis, networked with others in the industry and read all that he could about viticulture. The success of that initial small vineyard installation and its management has resulted in over 50 additional acres of vineyard installations in San Diego County in the last few years. Al and Lisa even converted the hilltop of their Sunrise Ranch avocado grove to a vineyard as a vineyard’s dramatic reduction in water usage compared to fruiting trees had great appeal. Small vineyard clients, many of whom simply enjoyed the idea of picturesque vines, found that with vines come grapes. Al, always the accountant, calculated that making wine could be a profitable venture. 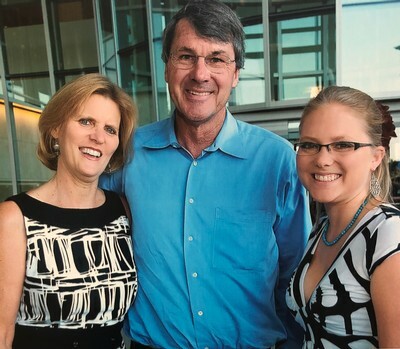 At the same time, Al and Lisa’s daughter, Alysha, had earned a degree in Viticulture and Enology at UC Davis and had started making wine with her husband. With winemaking expertise in the family, the idea of making wine became even more appealing. Utilizing a photo of the lion head in their front yard taken by a family member, and the services of a graphic artist friend, the lion head logo was created. A middle of the night revelation by Lisa created the name, and so, Stehleon Vineyards was born. The first Stehleon vintages were produced under custom crush agreements with Vesper Vineyards, owned by Alysha Stehly and her husband, Chris Broomell. In 2013, with increased production on the horizon, a winery seemed a logical expansion. Logical, perhaps, but certainly not easy. Nevertheless, in July 2013 Al and Lisa hired their daughter, Alysha, to be their winemaker and Stehleon Vineyards established Escondido’s first urban winery and tasting room. Recent plantings in their vineyard will allow Al and Lisa to expand their selection of wines that always pair well with friends. This vineyard site was originally planted with avocados by Al and his father when he was in college. Coincidentally, it was planted by Al and his daughter, Alysha, and son-in-law Chris shortly after she graduated college. The family farming continues, but with a new crop. Stehlys have been farming in Southern California for many generations. Stehleon Vineyards and winemaking are an extension of that family tradition.